Well aren't we in for a treat ! 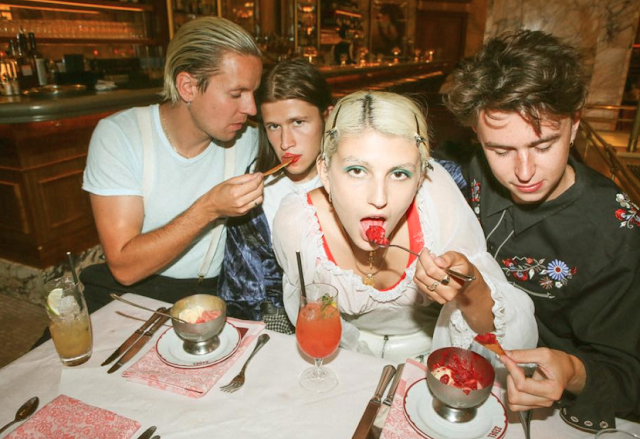 Magic Bones and Harts have joined forces to release details on a National Co-Headlining tour. Expect to be dazed in a fusion of rocking goodness with shows spread all around the country. 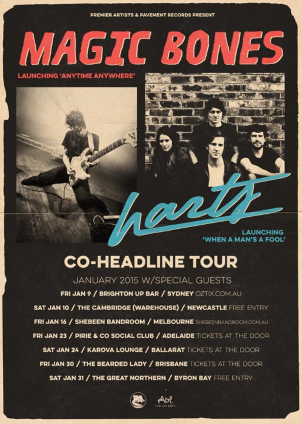 Harts will be showcasing songs from his debut LP 'Daydreamer' (which included single "Red & Blue" and he will be launching his brand new single 'When A Man's A Fool', which has been the #1 most played song on Australian Alternate Radio. And what can we say about one of our favourites,Magic Bones. With their wicked new single "Anytime Anywhere" and having constant rotation play on Triple J, they are one band that will knock your socks off. They have recently finished supporting British India on their national tour.